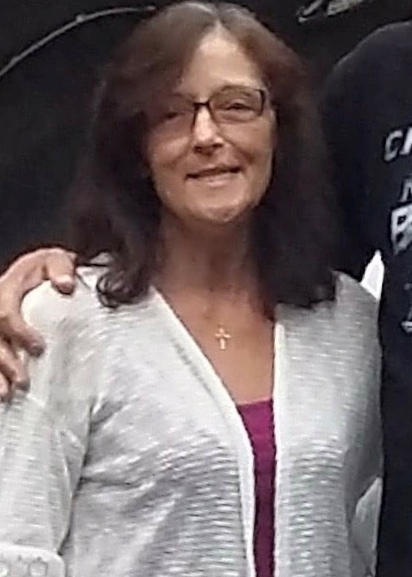 Angela Sue Mangas, 56, of Winchester, IN passed away unexpectedly Sunday, August 26, 2018 at Reid Health and Hospital of Richmond, IN. She was born February 22, 1962 in Union City, IN the daughter of James Alvin and Brenda Marie (Pettie) Staggs. She leaves to cherish her memory her husband, Michael; three sons, James and Jon Mangas of Winchester, IN and Jason Mangas (wife, Shelby) of Portland, IN; four daughters, Jamie Marie Hiestand (James) of Columbia City, IN, Jessica Pauline Hiestand of St. Mary’s, OH, Jackie Ann Maez of Winchester, IN and Jessica Hunt of Ridgeville, IN; a sister, Robin Waznicki of Minot, ND; and 13 grandchildren. She was preceded in death by her parents. A service to celebrate Angela’s life will be 7:00 p.m. Thursday, August 30, 2018 at Wilson Shook Funeral Home, Fraze-Brooks Memorial Chapel of Union City, IN. Cremation will follow. Burial will be at Bear Creek Cemetery of Winchester, IN. Family and friends may gather to share and remember from 5:00 to 7:00 p.m. Thursday, at the funeral home. Online condolences may be expressed at www.wilsonshookfuneralhomes.com.